If you follow me on Instagram, then you are very familiar with my hashtag #livingroommakeover. Under that hashtag, there are so many living room updates documented. Today, I want to show you one of the first impactful updates that I made after painting the living room. I am so excited with the direction of this makeover and I am looking forward to sharing more. 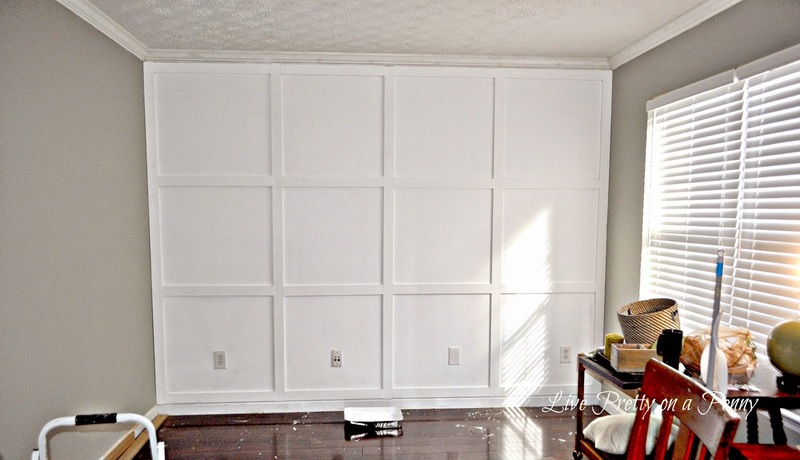 A few months ago, we updated a focal wall in the room with what I call grid molding, however, I think it is called board and batten. 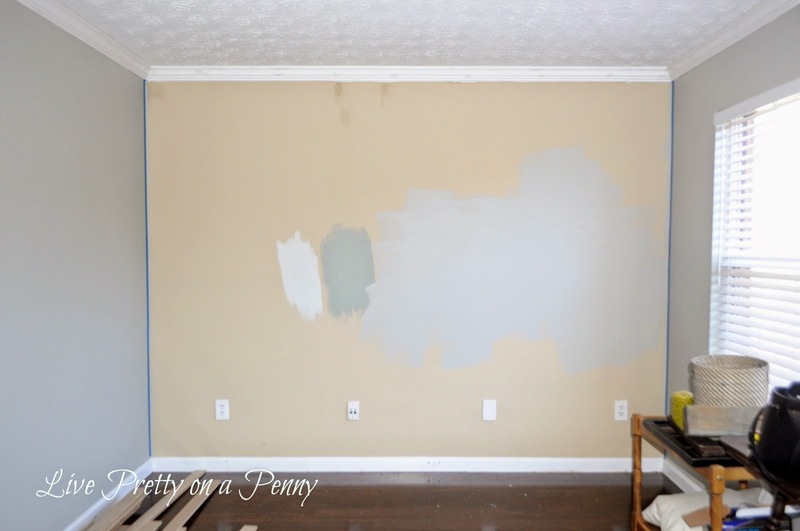 You may remember this wall before after I painted, but before the board and batten. Which we turned into this in total of weekend and about $75. I will compile all of the details and give a tutorial, but in the meantime, I am just enjoying the change! FYI, the wall color in the top picture is more true to the actual room color. Not sure why it looks so muddy/gray in the second photo! Next Post Hmmm… Anyone up for a 30-Day Cleaning Challenge??? I love the board and batten. Can't wait to see the finished room. Very cute! Such a big impact for not a lot of money! Can't wait to see the finished results! Looks so beautiful, Erin! Congrats on doing the work yourself. Wow! Only $75! Superb job!! Love the results!